Victor Morton at the Washington Times offers a piece on the passing of R. Lee Ermey. The Marine who became immortalized by playing a brutal drill instructor in Stanley Kubrick’s “Full Metal Jacket” has died. 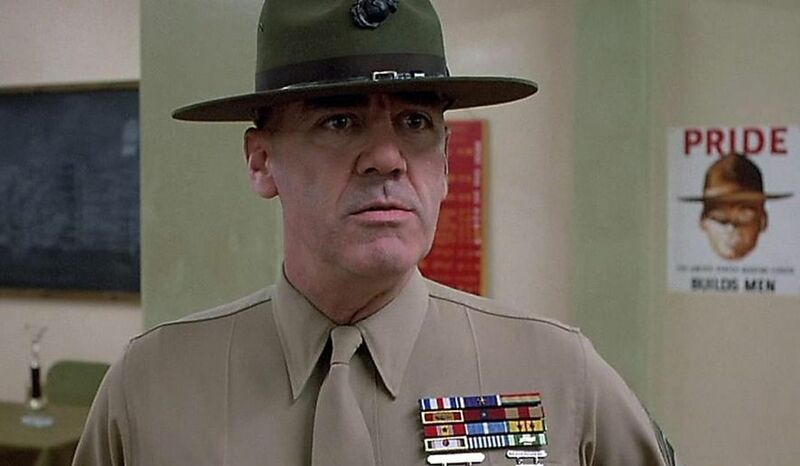 R. Lee Ermey was 74. “It is with deep sadness that I regret to inform you all that R. Lee Ermey (“The Gunny”) passed away this morning from complications of pneumonia,” his manager Bill Rogin said in a statement posted to Mr. Ermey’s official Twitter account. Note: Although not mentioned in the piece, Mr. Ermey first played a Marine drill instructor in The Boys in Company C.